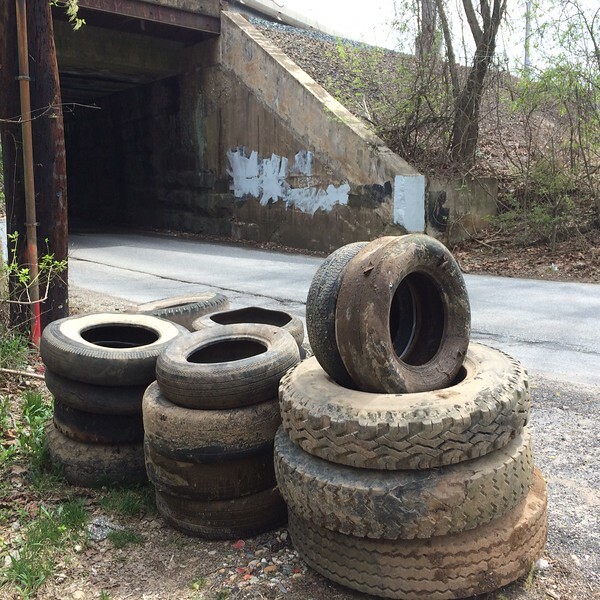 4/19/2015, Jon Merryman, Stoney Run, AA county,Furnace Ave, 21 tires Between Stony Run and the railroad tunnel. 21 tires (3 tractor tires, 9 light weight truck tires, 9 passenger car tires) and some bags of trash. Estimated weight 950 pounds.